Er…make your OWN mind up!!! Looks to ME that THE TRUE COLOURS (agenda) ARE FINALLY BEING BROUGHT TO LIGHT!! !… (ESPECIALLY note the word “ASSETS” = MONEY!!!) Dear Lord, how could ANYONE “miss” THAT!?? How OBVIOUS could ANYTHING possibly BE??? PLEASE people, if you DON’T have one already, GET A BRAIN!!! And USE IT!!! NEVER watch, OR believe, MAINSTREAM MEDIA!!! IF you DO, then MORE FOOL YOU!!! I do NOT care what “the issue” might be – IT IS “MAINSTREAM MEDIA”!!! THAT should tell you ENOUGH!!! And on the home front…! A few details about the person who instigated the court case – He failed to be elected as the Labour candidate for Cambourne and Redruth (Cornwall) at the last general election. He has been involved in “heated disagreement” with Jeremy Corbyn in the past. He has a reputation for being “offensive” towards others, by their accounts. The mainstream media (all channels) have downplayed the result of the court case SINCE the result, but were playing it UP (particularly the BBC) BEFORE the decision was known. And, the BBC continues to play UP Owen Smith, while playing DOWN and belittling Jeremy Corbyn and his supporters. Example: When Mr Smith began his campaign he was given air-time for his speech on his policies, in a room of a hundred people or so (he continues to get to talk on “his” policies, policies that Jeremy has already been speaking about, for decades!) . In contrast, Jeremy was speaking to nearly two thousand people at the same time and not one word was broadcast, and the camera view was edited to appear as if only a few people and his friends and family were there! ALWAYS the “challengers” views and opinions and all the reasons why Jeremy shouldn’t be the Leader are aired FIRST, with only a conciliatory and much edited reply or response from Jeremy or his supporters is allowed to follow, and it is usually “questioned” (attacked). BEFORE Jeremy was elected as the Leader of the Labour Party last year, SOMEONE purporting to be “an assistant to John McDonnell” (Jeremy’s closest friend, ally and confidant), was phoning around to Labour MPs “to see if they would support John McDonnell if he would stand for the leadership”. Later, AFTER the election John was “interviewed” (interrogated and accused) by Andrew Neil from the BBC on why, if he was allied to Jeremy, did he propose the possibility of himself standing for the leadership? John was flabbergasted! He stated that he new nothing about this and that it certainly was NOT something he had even considered! 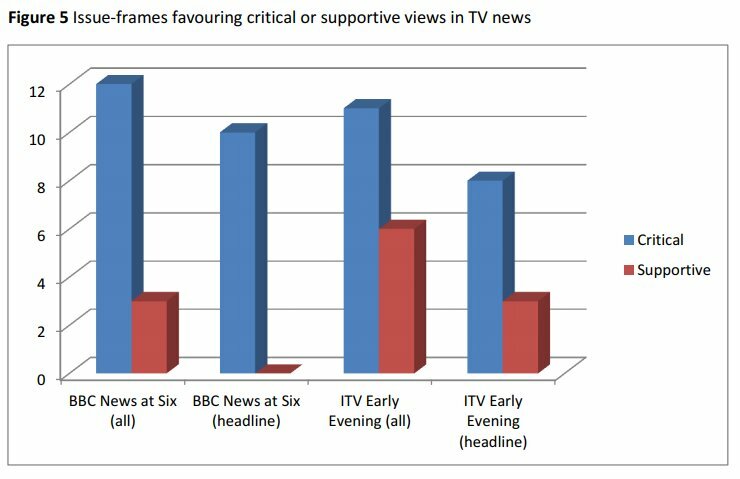 British news channels are blatantly biased against Jeremy Corbyn, giving far more airtime to commentators who openly criticize the Labour Party leader than those who support him, a second study of the phenomenon shows. New research by the Media Reform Coalition and Birkbeck University of London shows there has been a “clear and consistent bias” both online and on television against Corbyn since the coup against his leadership was launched after the EU referendum. Similar conclusions were drawn earlier in July by a similar London School of Economics (LSE) study. Birkbeck academics studied news reports published in the wake of the June 23 vote, when a series of shadow cabinet members resigned en masse in the hope of forcing Corbyn to stand down. Outlets, including the BBC, were found to have given Corbyn opponents double the airtime afforded to Corbynistas. Compiled by Dr. Justin Schlosberg, the study compared news pieces about Corbyn’s leadership struggle as seen through the lens of the BBC, ITV, the Daily Mail, the Huffington Post, IBTimes, the Mirror, the Independent, the Guardian and the Telegraph. And as far as opinion pieces were concerned both the Telegraph and the Daily Mail failed to publish any article supportive of the leader of the opposition. The outlet most sympathetic with Corbyn was the Huffington Post, which divided its coverage between 50 percent pro-Corbyn comment and 50 percent critical or unclear. “Amidst the social fracturing and polarisation of democratic life post-Brexit, the need for a more plural and inclusive mainstream news media has never been more urgent,” Schlosberg said. “Allowing an important and legitimate political actor, i.e. the leader of the main opposition party, to develop their own narrative and have a voice in the public space is paramount in a democracy,” LSE’s Dr. Bart Cammaerts said. Note ALL of the commentary in this episode – what the people and Jeremy are up against!.. If you thought UK politics was bad just take a look at the US!!! HOW is it POSSIBLE that the ONLY choices available to the US public are Hillary Clinton and Donald Trump??? SHEESH!!! At BEST we can hope that Mr Trump is a proverbial “spanner in the works” to the usual suspects of America’s corrupt political system, a “loose cannon” that just MIGHT shake a few things up. There is just not enough space here to cover everything wrong (evil personified) about this individual! There is plenty you can look up on the net for yourself, but at the very least you should watch Dinesh D’Souza’s documentary “Hillary’s America: The Secret History of the Democratic Party” for starters. I cannot believe how any sane person could “support” or “endorse” someone as INSANE as THIS woman. “Words fail me” is all I can say about it! “US election: US faces ‘moment of reckoning'” says Hillary Clinton. HRC = WW3 !!! HRC = WW3!!! HRC = WW3!!! Not only is it a £400,000 donor who wanted to take the NEC decision to allow Jeremy on the ballot (without a backing of 51 MPs) to court, but another, £500,000 “donor”, the owner of Hull City football club, tried to convince Parliamentary Labour MPs (the usual suspects now) to split the party and form a new party, right after Jeremy’s election as Leader last year. He met with at least four of them at the time, but THEY said they “wanted to wait for a year”, so he has brought the issue up again now, saying that he won’t even get behind Jeremy’s “challenger”, Owen Smith. THIS WAS NOT REPORTED BY THE BBC by the way! Hmmmm! A RICH “Labour Party member” initiated the “vote of no confidence” previously; a RICH “Labour donor” has initiated a court case to get Jeremy off the ballot; and now another RICH “Labour donor” wants to split the party to form a “new” Labour group (sound familiar? = Blair!). And WHAT is it being used to try to control these events? – MONEY! And from ONLY 3 INDIVIDUALS (that we know of anyway)! “Democracy” anyone? While in contrast, the Labour movement, under Jeremy Corbyn, has increased in registered membership to over a half a million , THE LARGEST POLITICAL PARTY IN ALL EUROPE, and it is expected to DOUBLE that after the Labour Leadership election if Jeremy wins! (Are you beginning to understand WHY the elites consider him such A THREAT, especially when he has contacts throughout ALL of the socialist movements throughout Europe, and the World)??? The “Tories” have ALWAYS been backed and supported by money, big business and the banks (and actually have the smallest party membership, as well as the slimmest of a “majority”, INHERITED by the PM (who was NOT elected by “the people”, only 199 people were responsible for THAT) from the former PM who “won” it in a non-representative electoral system called “first past the post”, AND in which they CHEATED by spending more than is legally allowed in their campaign in the marginal seats). In contrast the Labour Party has always been supported BY ITS MEMBERS and the unions, THE PEOPLE themselves (the ones who formed the Party at its conception – as a means to fight for “the rights of the people”, against their “bosses”!). Sarah Champion has not given any reasons for rejoining Mr Corbyn’s shadow ministerial team. An MP who quit Labour’s front bench during a revolt against Jeremy Corbyn has been reinstated after asking for her old job back. Sarah Champion, the MP for Rotherham, has retracted her resignation as shadow minister for preventing child abuse and domestic violence. Ms Champion is on an overseas trip but her office confirmed that she had “retaken” her old job. The BBC’s Norman Smith said it was an “extraordinary development”. Ms Champion has not given any reason for wishing to return to Mr Corbyn’s team, shadowing the Home Office. When she resigned from the front bench last month, Ms Champion insisted she was not taking part in an organised coup or “siding with anyone”, but she believed that his leadership had become untenable. The BBC’s assistant political editor said Mr Corbyn’s advisers were “overjoyed” and said it raised the prospect of whether the MP was a one-off or whether others who had walked out of the Labour leader’s top team were now having second thoughts. Mr Corbyn is facing a leadership challenge from former work and pensions spokesman Owen Smith, having suffered a mass walkout from the shadow cabinet and lost a vote of confidence among his MPs by a massive margin. Although Mr Corbyn filled the gaps in the shadow cabinet by appointing replacements, several politicians have had to double up by taking on two portfolios, while many middle-ranking and junior positions remain unfilled. Owen Smith told BBC Newsnight Ms Champion was a friend of his and he understood why some colleagues felt they should be taking the fight to the Conservatives since most believed the government was “getting an easy ride” at present. But he said her return was “neither here nor there”, and suggested that “one or two people” returning to the fold did not “really change the basic facts” that the party was torn down the middle, adding that 150 MPs “suddenly recovering confidence” in Mr Corbyn was unlikely. The only other predominant commentary I see on the net at the moment is Jeremy, Jeremy, Jeremy, – going everywhere and speaking on everything to everyone, personally!!! Hmmmm! “Not a leader!” “Unelectable!” – Either his enemies are completely deluded, OR, more likely, they hope that that term will wear a groove in peoples’ brains and affect their judgment, eventually! So far however, the stronger their attacks, the stronger the support for Jeremy, and the stronger the resolve of the people to throw off the same old, same old BS! The people want CHANGE, REAL change! And with Jeremy they sense something more – HOPE!!! IF some treacherous (no other word to describe them) individuals are being “targeted” by members of the general public (which Jeremy could not possibly have control over), shouldn’t they possibly consider asking THEMSELVES “why?”. “What goes around, comes around”, and what people see is the atrocious way Jeremy has been treated, from all quarters, and they are ANGRY!!! Not JUST because it is, supposedly, all about what “a bad man” Jeremy is supposed to be, which could never wash because it is REALLY about WHAT AND WHO HE REPRESENTS, but also because these same hypocrites are obviously FIGHTING AGAINST THE PEOPLE THEMSELVES!!! 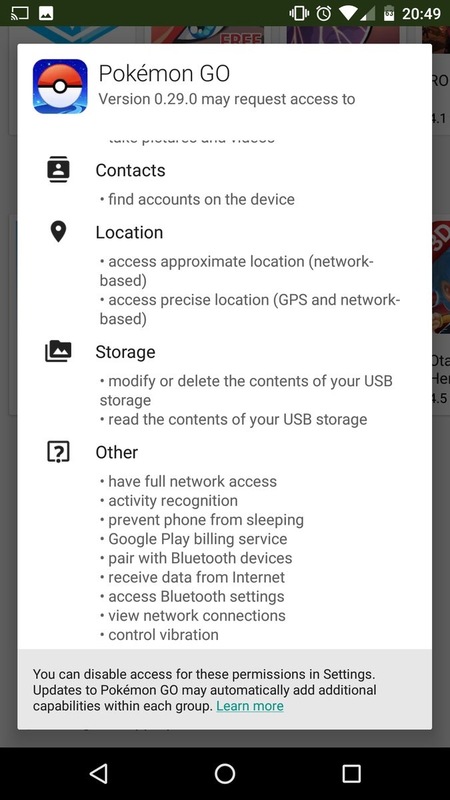 This also includes camera access…!!! So much for “virtual REALITY”! Oh, and the so-called “REALITY” TV shows – to condition you to accept things that are NOT “real”, in place of REAL real (it’s called “life”). TURN OFF YOUR TV!!! STOP “GAMING”!!! and STOP LIVING ON THE INTERNET (“Social Networking” – because you end up ignoring those right beside you – who are ALSO living IN THEIR PHONES)!!! Because one day you will “wake-up”, but it will be TOO LATE, and you won’t be prepared or able to deal with REALITY, because you will have been dis-connected and “dumbed down” with distraction, while the “dirty tricks brigade” have snuck up on and imprisoned you in your false sense of “reality”. And “who” would be to blame for allowing this? It is a major, strategic part of the elites agenda to have a brain-dead, compliant population – people who CAN’T or WON’T think for themselves, who will just “go with the flow” (follow – do as they’re told – like the now millions of people who are following their phones all over the place to “find” “pocket monsters”!? ), or are too lackadaisical to offer any resistance. “Easy prey”! This ENABLES a top-down, totalitarian, centralised, globalist “new world order” to exist! What scares the hell out of these people is A THINKING INDIVIDUAL, someone who actually uses and applies their “little grey cells” to living their life INDEPENDENTLY (as opposed to “dependently”)!!! And what is even MORE horrifying to them is IF EVERYBODY LIVED THIS WAY!!! (Because THEN the elites HAVE NO PLACE, because THEY ARE NOT “NEEDED”. I.E. NOBODY IS LISTENING TO THEM ANYMORE, and they have LOST any “authority”, authority that WE GAVE them!!!) Get it?